WBA Dividend – Is It Happy & Healthy? Let’s check in on the WBA dividend. I liked Walgreen’s old advertising campaign slogan, “at the corner of happy and healthy.” It was upbeat and for some reason would put me in a good mood. Walgreen’s is also known by their New York Stock Exchange symbol “WBA”. That stands for the company’s full name, Walgreens Boots Alliance. And the company is one of my dividend stock holdings. Let’s check out the health of the WBA dividend by working through a dividend deep dive of the company’s stock. WBA calls itself the first global pharmacy-led, health and well being enterprise. Their purpose is to help people across the world lead healthier and happier lives. First of all, in the United States, they operate under the name brands Walgreens and Duane Reade. This combination represents one of the largest drug store chains in the US. Furthermore, their international retail pharmacy division operates in eight countries. And they are a market leader in Europe. Finally, WBA’s Pharmaceutical Wholesale division supplies medicines and other health care products and services. They sell to pharmacies, doctors, health centers and hospitals. The WBA forward dividend payout is $1.76 per share. At the recent stock price of $72 per share, investors get a 2.4% WBA dividend yield. As noted in the table, dividend growth has been very steady. Furthermore, WBA rewarded investors with another dividend hike recently coming in at a healthy 10%. That marked the 43rd consecutive annual WBA dividend increase. This streak takes into account dividend increases by its predecessor, Walgreens. 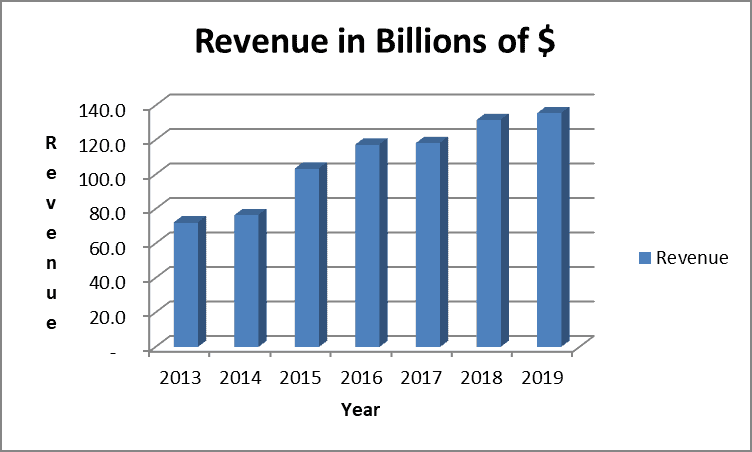 Sales revenue growth has been strong over the past 7 years. Sales have nearly doubled during this time. Growth has primarily come through acquisitions. The purchase of UK and Switzerland based Boots Alliance was completed in fiscal year 2015. The company then added half of the Rite Aid store fleet through acquisition in 2018. Fueled by the successful integrations and overhead reductions from the Boots Alliance and Rite Aid acquisitions, earnings growth has been solid. 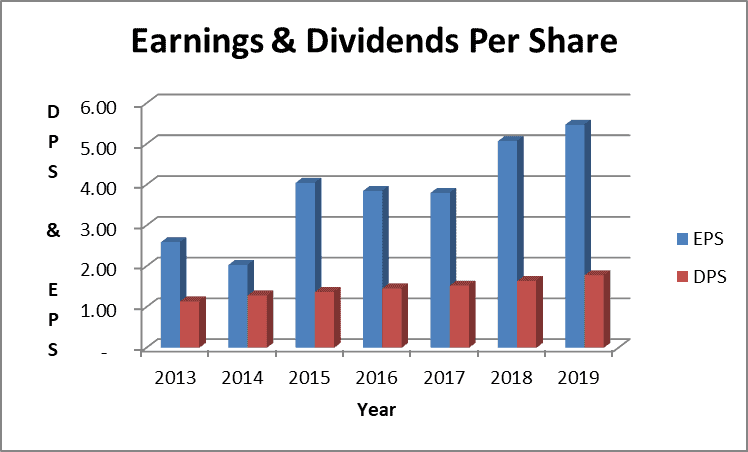 The dividend payout checks in at about one third of earnings and even less of free cash flow. 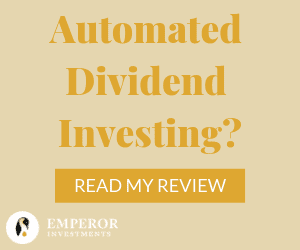 Based on these measures, the dividend appears well covered and very safe. To finance the Boots and Rite Aid acquisitions, WBA has taken on more debt in recent years. The major credit rating agencies all rate WBA as “Investment Grade – Moderate Credit risk” with a stable outlook. This rating is acceptable to me. Most good dividend paying companies are rated investment grade. However, WBA is rated at the lower end of this classification. WBA is operating in a challenging environment. Major pharmacy customers include drug benefit plan payers, pharmacy benefits managers and governmental entities. These customers have great scale and demand pricing concessions from WBA. Competition in the front of the store for non-pharmaceutical product sales is fierce. Competition comes from the likes of Walmart and other mass grocery stores. Finally, we have the Amazon effect. Aren’t they taking over the entire world as we know it? WBA is trying to offset these headwinds with consolidation of its own. And gaining scale through the acquisitions we have discussed. After many years of growth, the WBA stock price peaked in 2015 at nearly $100 per share. The stock price is down almost 30% from that high. The stock’s decline coupled with the rise in earnings has reduced the price to earnings ratio. 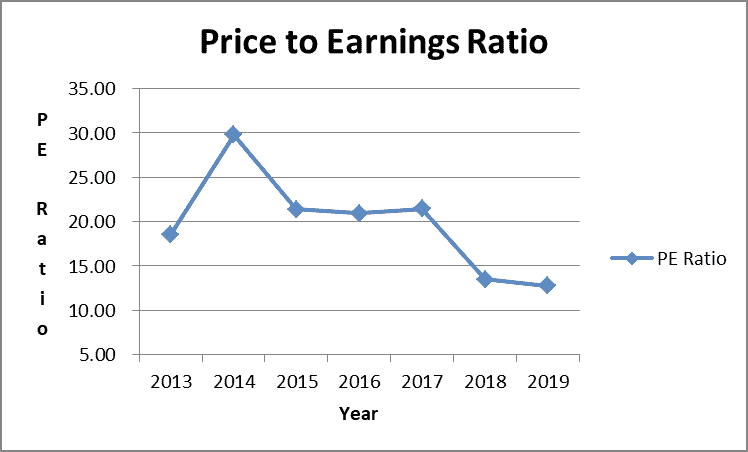 It stands at a very attractive 12 times projected fiscal year 2019 earnings. It looks clear to me that the market has priced in the many headwinds the company faces. WBA holds a small position in my dividend stock portfolio. And I can draw a few conclusions from this dividend stock analysis. The dividend is safe and growing nicely. And the stock valuation is attractive. I believe WBA will successfully manage through the difficult business environment they face. I will consider adding to my holding at the current stock price level. 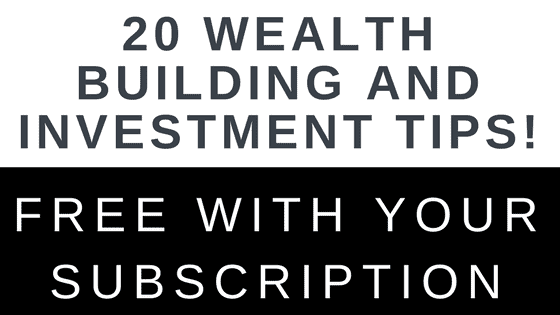 I currently own WBA and collect the WBA dividend quarterly. Nice analysis Tom. This is one I almost added when initially building my portfolio but ended up dropping it off, and haven’t looked to add it since then. In our area, Walgreens is much more prevalent than CVS. However, other than medications, we don’t tend to shop there too often as prices are typically better at places like Target, Meijer, or Wal-Mart. Great analysis. We get our meds from the grocery store pharmacy purely because it’s convenient. We also get generic nonprescription meds as a pharmacist friend once said they are made from the same ingredients. . I didn’t know Walgreens bought Boots and Rite Aid! Boots is huge in the UK (or at least it was when I was there a few years ago). I always learn a lot about American companies when I am reading your dividend analyses. Great stuff! Nice analysis, Tom. I agree with your conclusions. It’s hard to argue with the performance WBA has provided. They’ve done a good job operating in a difficult environment.. I happen to own CVS, but could easily see owning WBA. Unfortunately for me, CVS is currently in a dividend freeze while they de-leverage after their Aetna acquisition. I’m curious to see how the new CVS direction pans out. WBA and CVS seem to be heading in different directions and I could imagine the success of one coming at a detriment to the other. I’ve checked out WBA multiple times but have never pulled three trigger. Can’t really give a reason why. It still attractive and there are even stores here in the Netherlands. Great analysis as always Tom!